Progressive & innovate Council with great benefits & more! Located just 7kms from Melbourne’s CBD, The City of Stonnington covers a vibrant and diverse municipality including inner city Prahran, South Yarra, Windsor, and the leafy green suburbs of Armadale, Malvern and Toorak. Stonnington has unique history and character with an enviable record as an innovative and progressive Council. With inner urban and outer suburban environments and bordered the Yarra River, there is a diverse range of opportunities for development and environments to manage. If you’re looking to accelerate your career than we have the perfect permanent full time position for you where you’ll have the opportunity to diversify and expand your portfolio and experience with a variety of projects around $2M. You’ll be involved in projects such as designing, supplying and installing solar photo-voltaic electricity generation systems, energy efficiency improvements and sportsground and tennis facility floodlighting systems on Council buildings as well. Additionally you’ll work on the implementation of building renewal and improvement work at Council’s civic, commercial and multi-storey carparks, roof safety improvements and the implementation of conservation work on Council’s heritage buildings such as Malvern Town Hall, Prahran Town Hall, Chapel Off Chapel, Harold Holt Swim Centre and Central Park Conservatory. As a Senior Project Manager you’ll require a high level of communication and interpersonal skills to manage high value and complex projects that are politically sensitive and with considerable stakeholder involvement. Strong time management skills and knowledge of budgeting practices will be required to meet tight time frames and budgets. To manage these technically challenging projects, substantial previous experience in management of building projects, a current driver’s licence and a tertiary qualification in Building, Architecture, Engineering or Construction Management are essential. 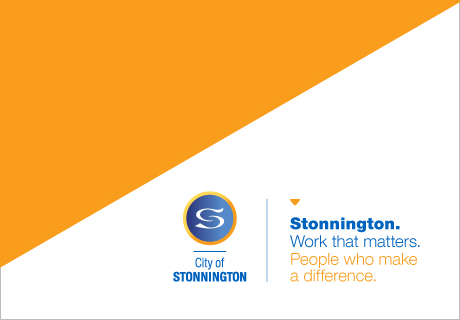 Join Stonnington today to make a difference and build a better community! You’ll stay motivated with diverse and challenging projects, developing your skills to build and progress your career in an environment that fosters personal career development and recognises and rewards ambition and expertise. You’ll also have access to some fantastic benefits including participation in our award nominated Wellbeing Program with discounted gym and aquatic memberships, regular exercise programs and health and wellbeing events. Additionally you’ll receive a monthly accrued day off, annual leave loading, a work life balance, priority access to Council managed childcare facilities and maternal child health and immunisation services and work for an organisation with a dedicated Green Team.